This free e-newsletter brings you the same high-quality information available in our print publications in a brief email format. Twice each month, you’ll get quick-reading ideas that are sure to spark new thinking, action and improvement in your downtown. This free e-newsletter brings you the same high-quality information available in Real Estate Broker’s Insider in a brief email format. Current news. Brief summaries of key articles from the current issues of our publications Downtown Idea Exchange and Downtown Promotion Reporter. Leadership perspectives. Learn when the latest Perspectives Columns are posted at the website. The full text of these informative articles is available to Downtown Digest readers. Special discounts. 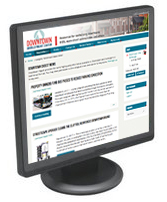 As a member of the Downtown Development Center online community, you’ll receive special offers and discounts on newsletters, books, and reports.